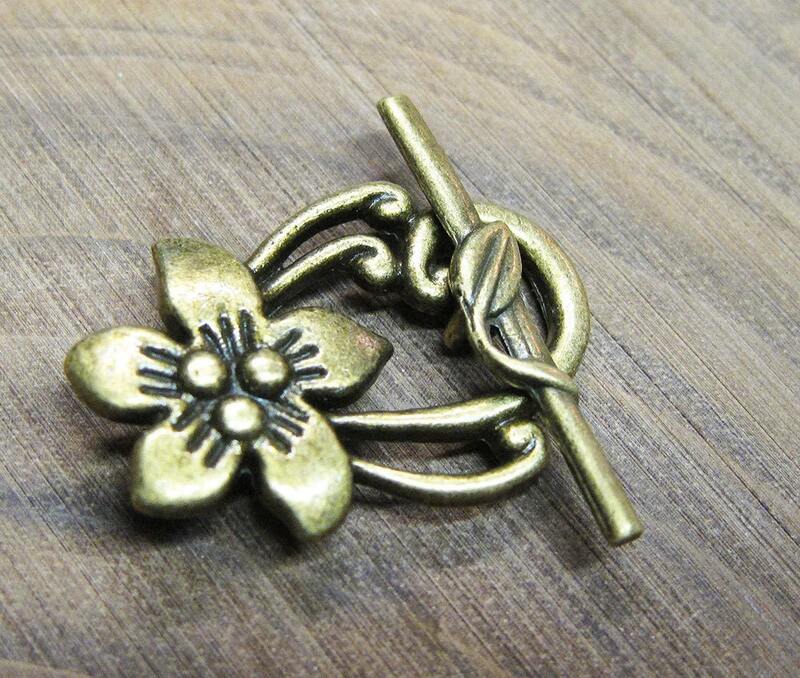 8 Beautiful antique bronze tone zinc metal alloy (lead and cadmium safe) toggle clasps,and perfect for your vintage style or flower garden designs! The bar measures 29mm and has a leaf vining around it. 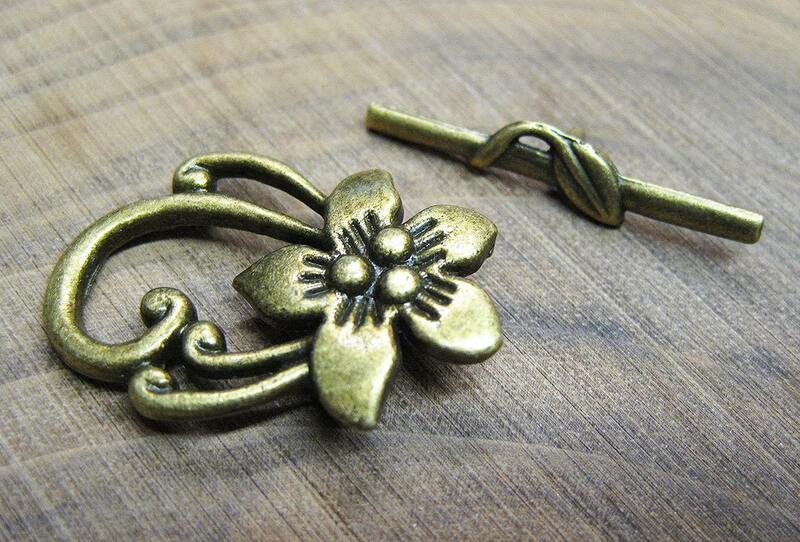 The toggle ring has an elaborate flower on one side and measures about 20mm x 25mm. You will receive 8 clasps with this listing.